Last night I attended a Nighttime Photography workshop with my new toy, a D500. 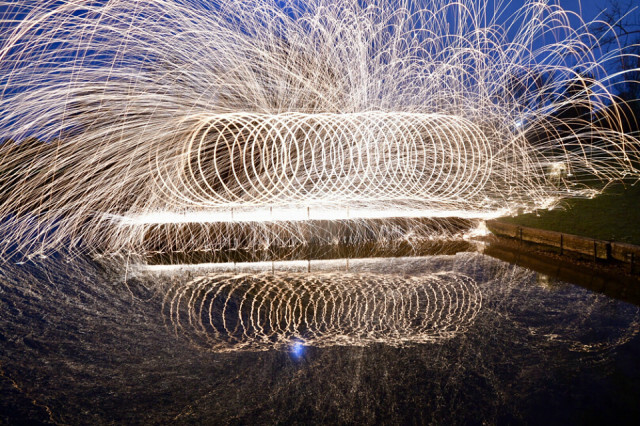 This was my first attempt at shooting wire wool and the results were pretty good, I think. I’m happy with them anyway and it’s given me idea for further shoots. After being ‘nagged’ by PW I decided to blip my fave shot from the workshop. My girlfriend has a Blipfoto account too, I just have to get her to use it.